Can you name where a dog’s toughest skin is located? Notice the smoother center and more prominent papillae on the edges. What does a dog’s paw pad anatomy look like? The skin on a dog’s paw pads is extra thick and not found in any other area of the dog’s body. It’s made of layers of insulating fat and connective tissue making them the perfect version of Mother Nature’s insoles. 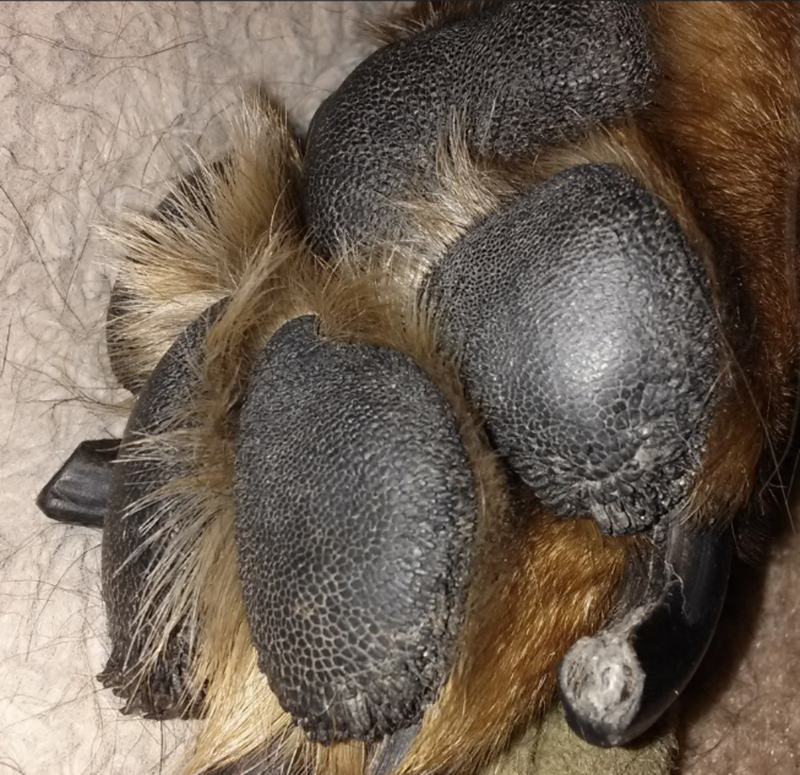 The outermost layer is the one we’re most familiar with, it’s called the stratum corneum and it’s the hairless pigmented layer we see when we look at our dog’s paws. If you ever looked at your dog’s paw pads very closely, you might have noticed how the outermost layer is made of small conical papillae. These papillae are made to add further protection. You may have also noticed how the central surface of your dog’s pads may be smooth compared to the outer edges. 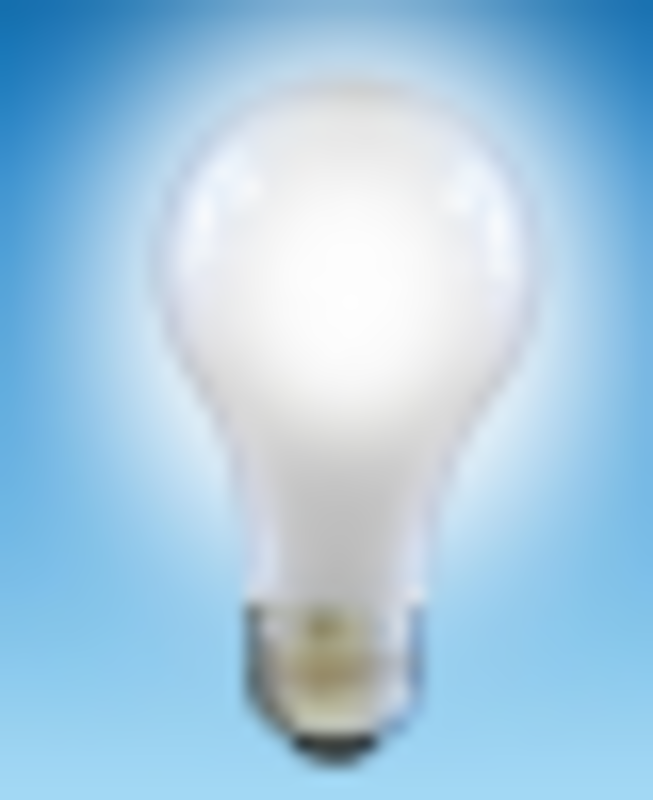 This is from long-term walking on rough surfaces such as concrete. The smoothness is due to the conical papillae being flattened rather than conical due to abrasion, while the papillae on the edge remain conical. Dogs who tend to walk more on hard surfaces and are older tend to generally have tougher paw pads than dogs used to walking in grass and carpet and who are younger. Did you know? 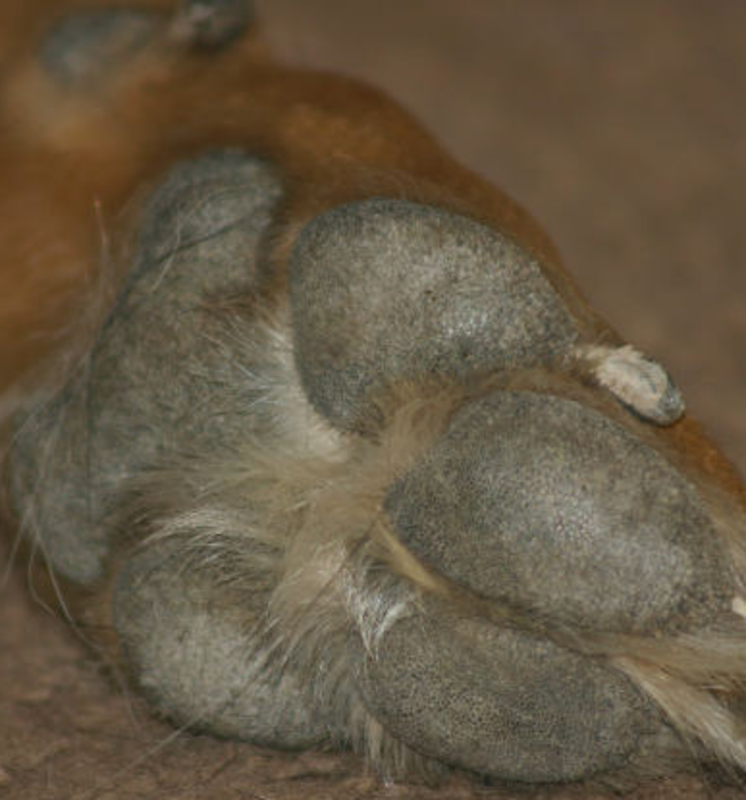 A dog’s foot pads contain many blood vessels which is why they tend to bleed easily when injured. 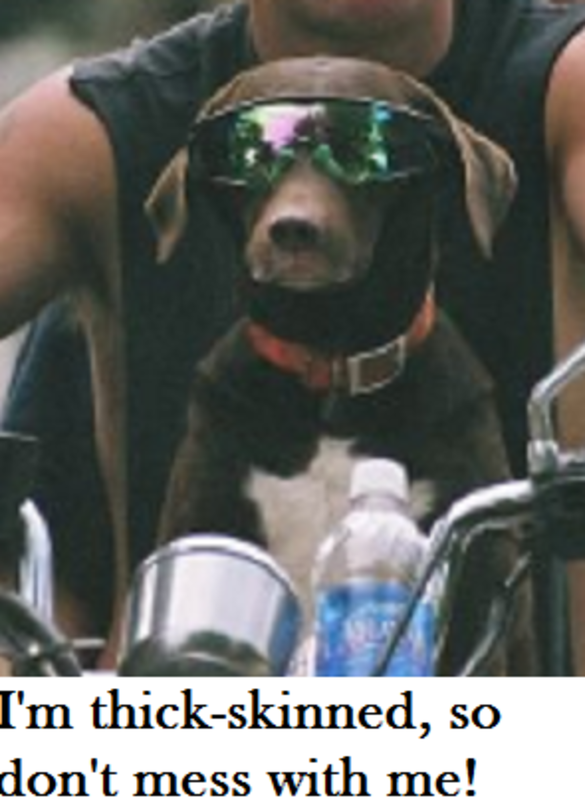 While a dog’s paw pads are pretty tough and able to withstand the many miles dogs put on their feet, consider though that this doesn’t mean you can walk your dog over hot asphalt or over ice melt without having any problems. A dog’s paw pads can be prone to cracks, abrasions, ulcers and blisters when exposed to heat and cold, harsh surfaces and chemicals. Most commonly, the dog’s outer layer of skin, the stratum coneum sloughs off, exposing a raw layer of skin that is very sensitive and can take even weeks to properly heal. In nature, injuries to a canine’s feet can have deleterious effects and may strongly incapacitate these cursorial animals who need to run to hunt for prey and run away from predators. Luckily, in a domesticated setting, we can take care of our dogs providing them food and resting their feet which gives time for their paw pads to heal. Did you know? Because the tissues on a dog’s paw pads is highly specialized and has precise functions, it’s irreplaceable, and therefore cannot be replaced from other skin from the body, explains Dr. Tannaz Amalsadvala, a graduate of the Bombay Veterinary College in Bombay, India. DVM360,Paw tissues unique; injuries need special care, attention, By Tannaz Amalsadvala, B.V.Sc. & A.H., MS retrieved from the web on May 3rd, 2016. Merck Veterinary Manual, Description and Physical Characteristics of Dogs, retrieved from the web on May 3rd, 2016. Lloyd, DH and Garthwaite, G (1982) Epidermal structure and surface-topography of canine skin. Research in veterinary care, 33 (1). pp. 99-104.